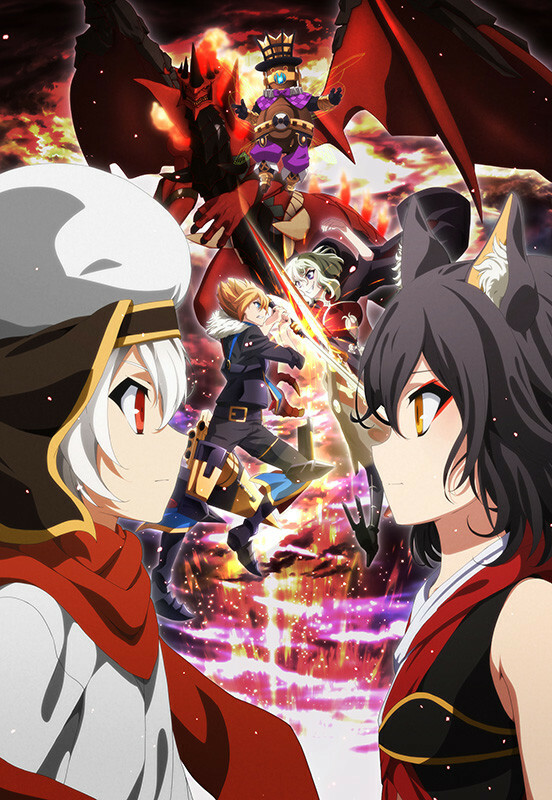 A pretty awesome new anime this season called Chaos Dragon: Sekiryuu Seneki or just Chaos Dragon which follows a world divided into two great nations called Donatia and Kouran, both fighting in a cold war fighting for supremacy. In the middle of all this, we follow the story in a small island between the two called Nil Kamui. The story mainly focuses on Ibuki who lives between the two nations. His desire to become a king leads him to sacrifice his friend to gain power from the Red Dragon who used to help him. If you’d like to watch this anime, you can do so using the website link below or use your favourite anime website. Personally I feel that this anime isn’t going to be on top of the best anime’s this season, but it’s definitely one to watch out for. It has a pretty decent story which that bad. It’s a good one to check out if you’re bored and looking for something good to watch. If you already watch this anime, go ahead and comment down below telling us how you feel about this show using the comment section below. Sweet but I still don’t y they make ibuki kill everyone he loved. That’s just mean creators. It was a sacrifice used by the red Dragon so that he can lend him powers to rule. That is very true, I think to make the show a little more interesting, they had to do that.